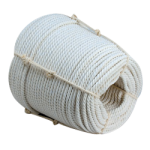 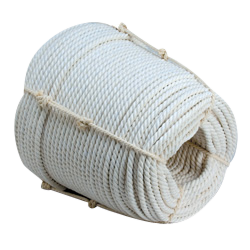 Naturally soft and easy to work, cotton rope is especially popular in the livestock industry. 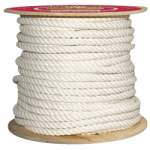 Commonly used for halter and lead ropes, cotton rope is good for braiding and less likely to induce friction burn than other blends. 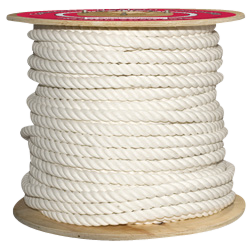 Cotton rope is available in spools or coils.